Part of the mission of Studio B Dance Academy is to create a positive atmosphere for all students. This positive atmosphere begins with emphasizing positive body image. While there are still some aspects of the dance world that are not moving forward into accepting all body types, many choreographers, dance companies, and teachers are now recognizing the skill and technique over the body dancing in front of them. At Studio B, we accept both genders, all races, and all body types and aim to make all students feel of worth and beautiful in their own bodies. The “Love Your Body Week” was crafted into the dance schedule in March of 2014 and continues to be an annual event designed to lead class discussions on promoting positive body image for ourselves and for each other. 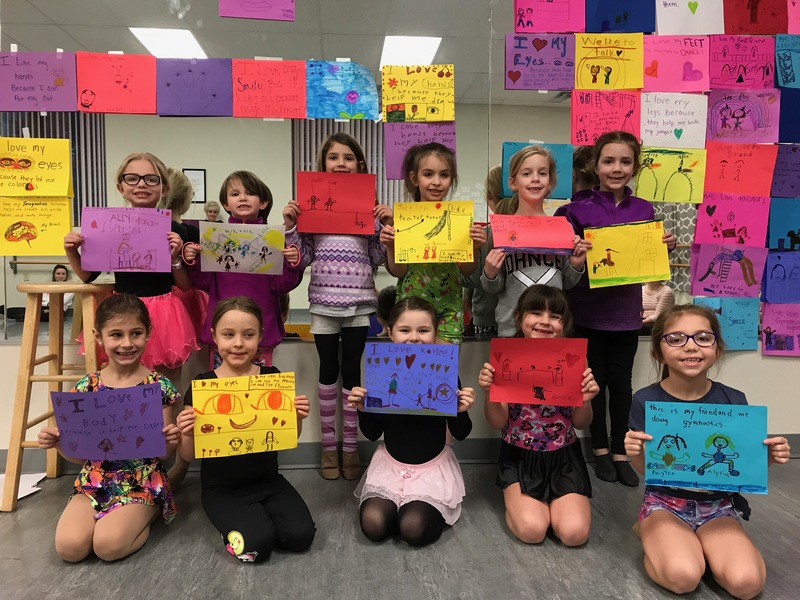 For younger classes, short stories are read to discuss individuality and acceptance of all types of bodies, colors, and gender. For older students, articles are read to discuss how society has shaped our views on our personal images and how we may combat it on a larger scale at the studio. 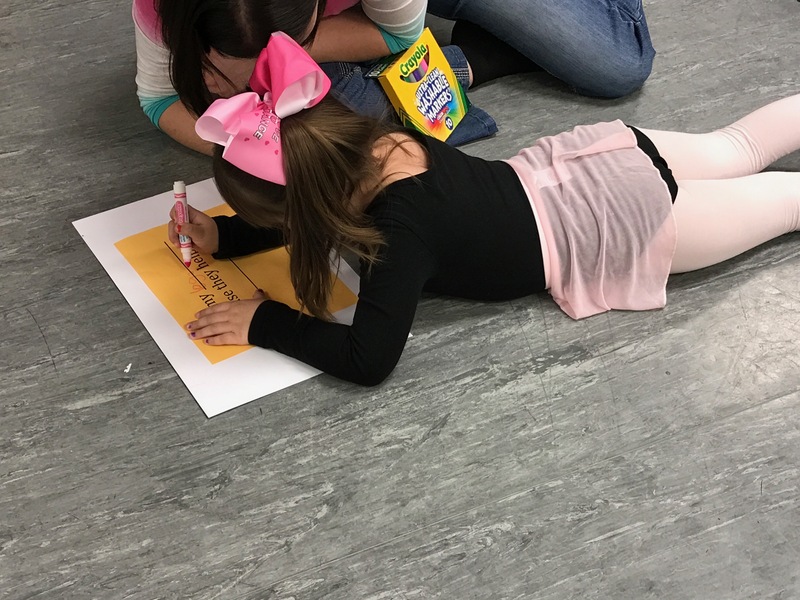 All students create their own posters describing what our bodies can do for us, affirmations for the parts we will learn to love in addition to what we already love about ourselves. These posters cover the entire mirrors of the studio in an effort to take our minds off of what we see from day to day in front of us and provide uplifting messages while we work. The idea for the program began in Seattle at “All That Dance”. It continues to be a growing trend among studios and colleges to empower our youth to think good thoughts about their bodies. Students are already looking forward to this year’s LYBW at Studio B! In 2015, we decided to include dance moms and dads in our segment. For the younger classes, parents sat in to listen to our story about learning to like our bodies and helped our students draw their posters. 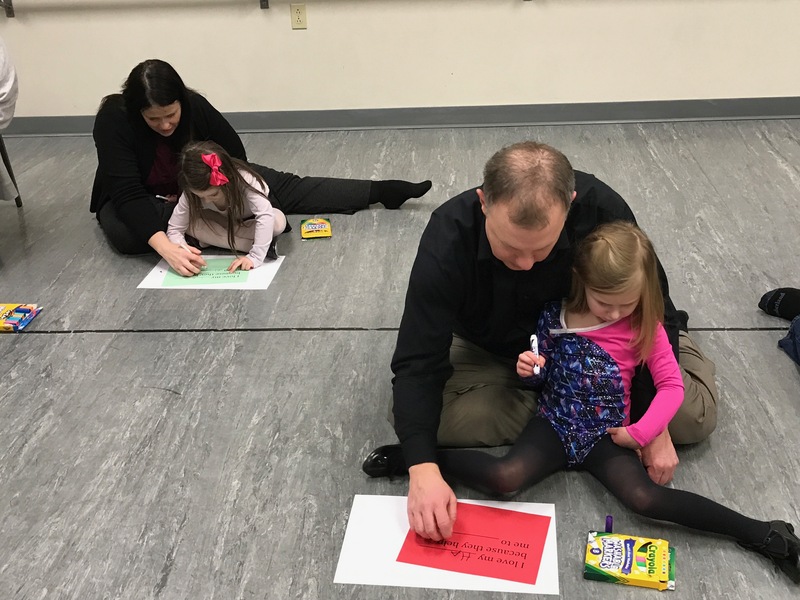 For some of the older students, parents were involved in discussions about how our feelings have stayed the same and changed over the years and how we can try to incorporate positive body talk even at home. Parents and students helped write some of their own positive body posters on the mirror. Other class discussions included “Body Image and Boys” where we discussed how boys and men also receive body shame and how we can help to prevent it. One thing is definitely true: LYBW is here to STAY!